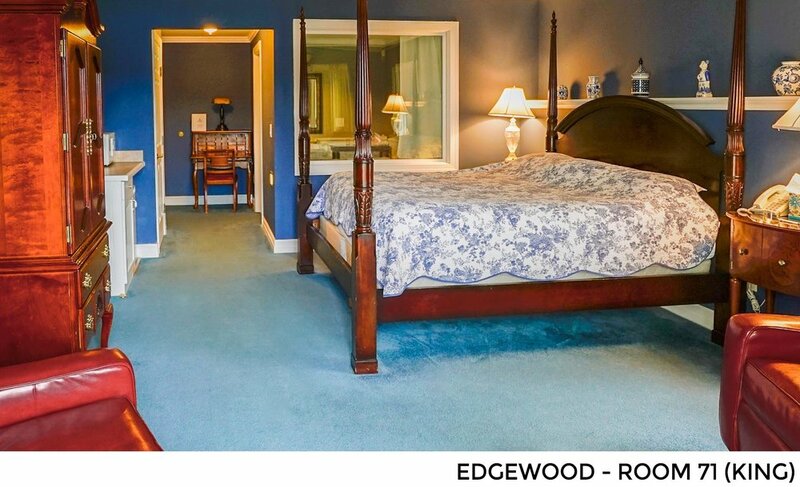 All of the rooms in Edgewood boast a stunning view of the lake and modern amenities. 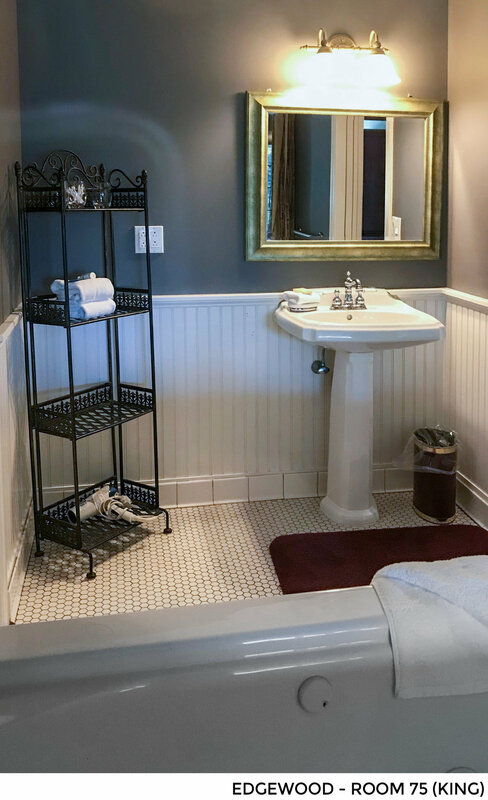 The following rooms offer queen size beds: Room 72, 73, 74, 82, 83, 84. 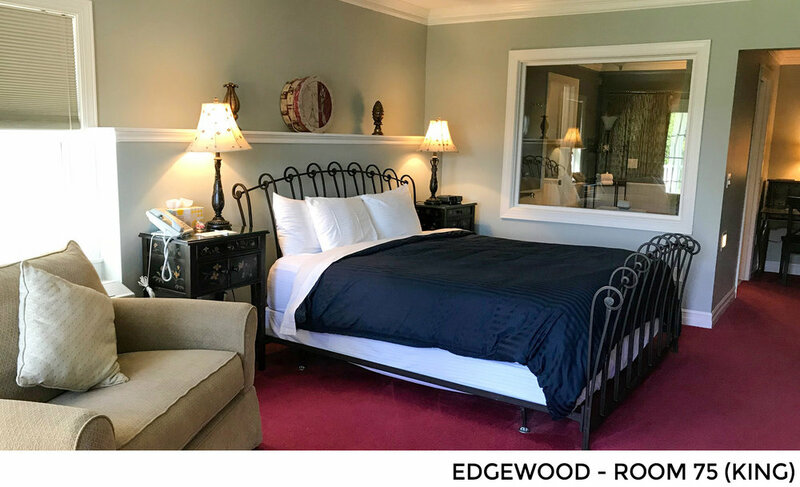 Upgrade to a corner room in Edgewood that features a King size bed and a spa hot tub. The following rooms offer a King size bed: Rooms 71, 75, 81 and 85.